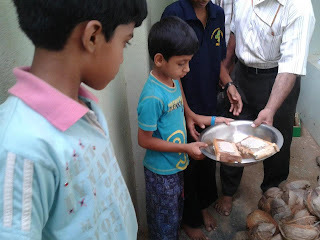 "Children's intelligence not be judged by how many marks they score in the academic examination. They should be evaluated with their hobbies, attitude and signs of involving responsibly as citizens. 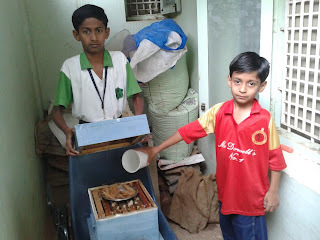 I am glad thatPranav Anirudh N and Prateek Chinku have picked up their interest in apiculture. 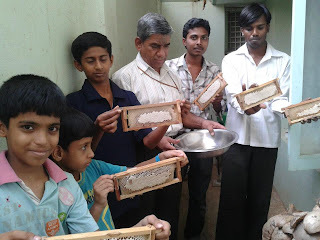 Fantastic to see the children rearing honey bees at home. Thanks to Mr.Apporva for inducing the interest in my children. 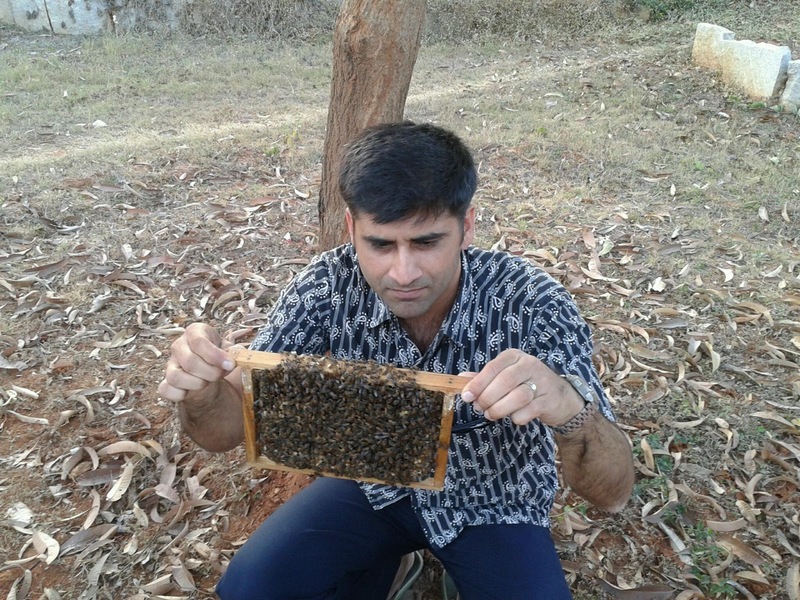 Lot many things for a human to learn from a bee. BEES you have a safe place in our house as well as hearts. I don't wish to grow my children as racing horses. 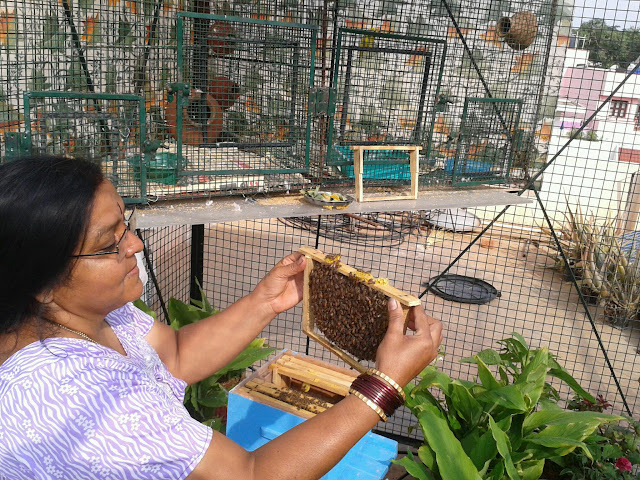 It would be my pleasure if they grow like a worker bee." 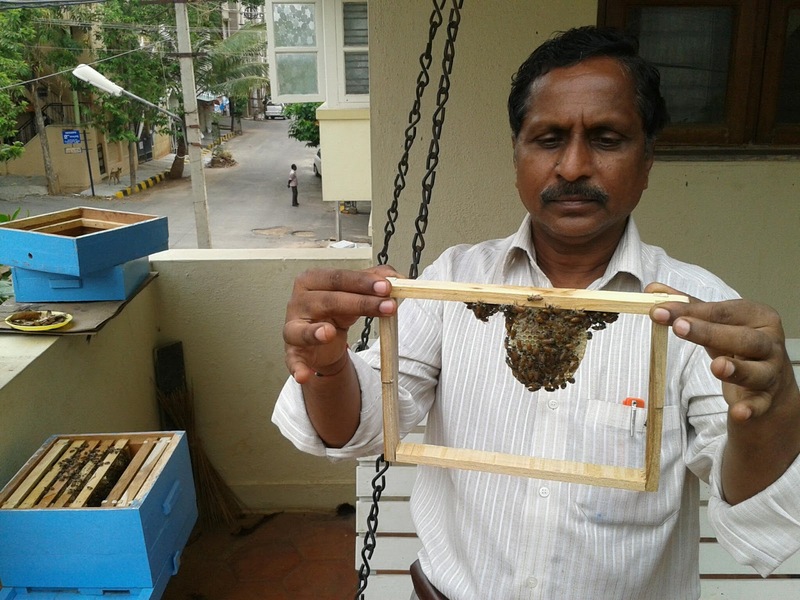 Urban Beekeeping is an interesting eco-friendly activity. In these days people are forgeting about their part in the nature. Infact people dont even remember that they are also the part of nature. Stuck up in the cubicles, board meetings, suffocating traffic and living their whole life in the concrete jungle, they dont even get a chance to treasure moments with their own loved one. With the provocating peer pressure of greedy society, people cant teach their own child to value the nature and its never ending beauty. I have noticed that urban parents are not letting their kids to feel ' love for nature' and patriotism. Honey bees are social insects,the species from which we are practicing urban beekeeping is known as 'Apis cerana indica'. These bees are native bees of india. 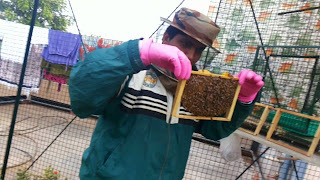 In urban beekeeping we provide a bee box, live bee hive and a stand. We provide free training to manage the live bee hive at your home. 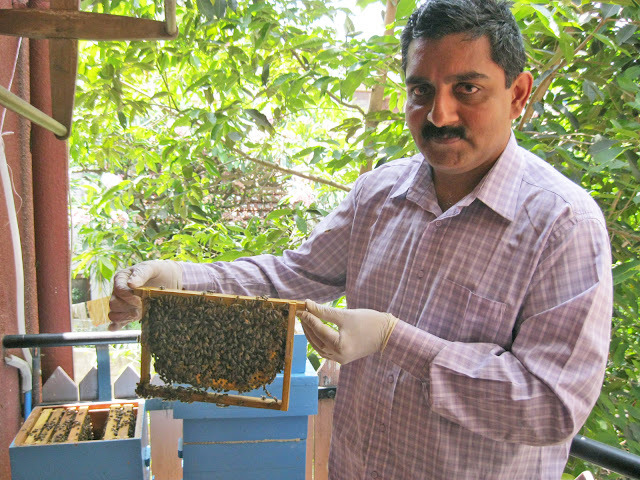 Mr. Nagendra and Mr. narayana swamy of Tumkur have started Urban Beekeeping at their own back yard and have started to harvest honey! 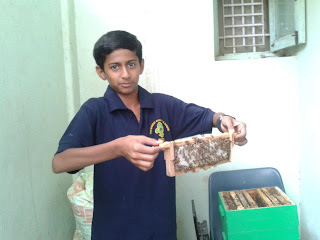 Mr.Nagendra's children pratheek and Anirudh(ages) are our first urban beekeepers since the inception of the urban beekeeping activity by The Hive Trust, Chitradurga. 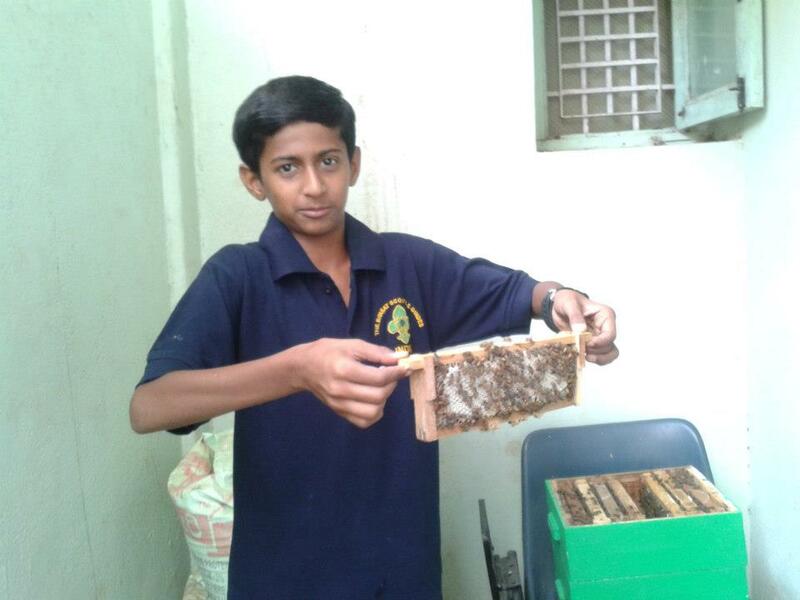 These kids have developed beekeeping skills and handle bees at their home. There is a saying that 'if you are a carpenter, you will hit your thumb. 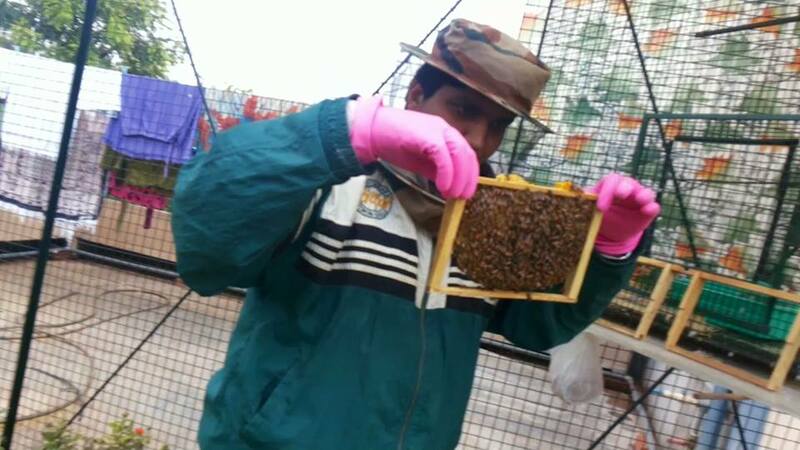 If you area beekeeper you will get stung'. 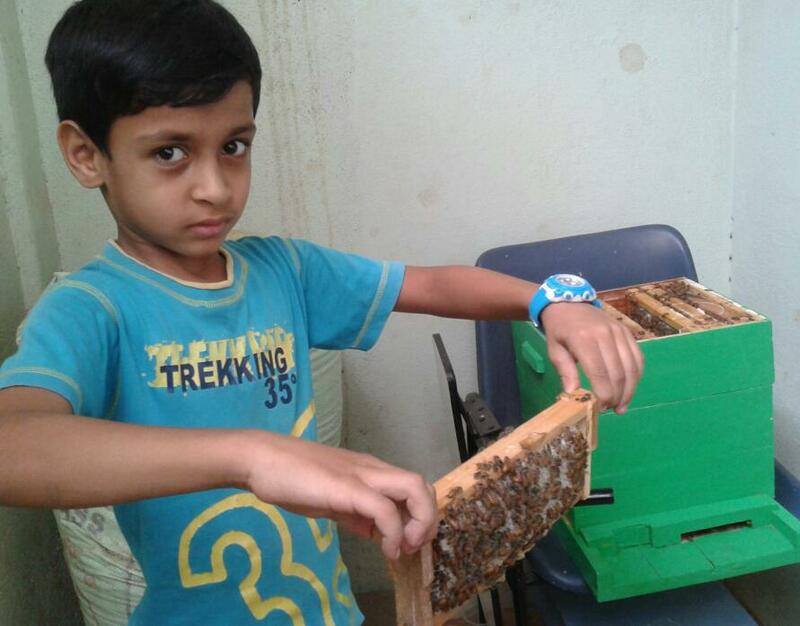 These kids have taken stings, but still they want to handle bees. These hardy boys fell in love with bees and recently, they have harvested honey from their hive. Nothing like the taste of the first harvest. 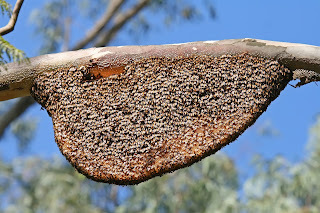 And very soon they are going to divide the hive and get one more at their home. Few research have done which says Beekeeping improves behaviour of children. Because the life of honey bees is very interesting and poetic. 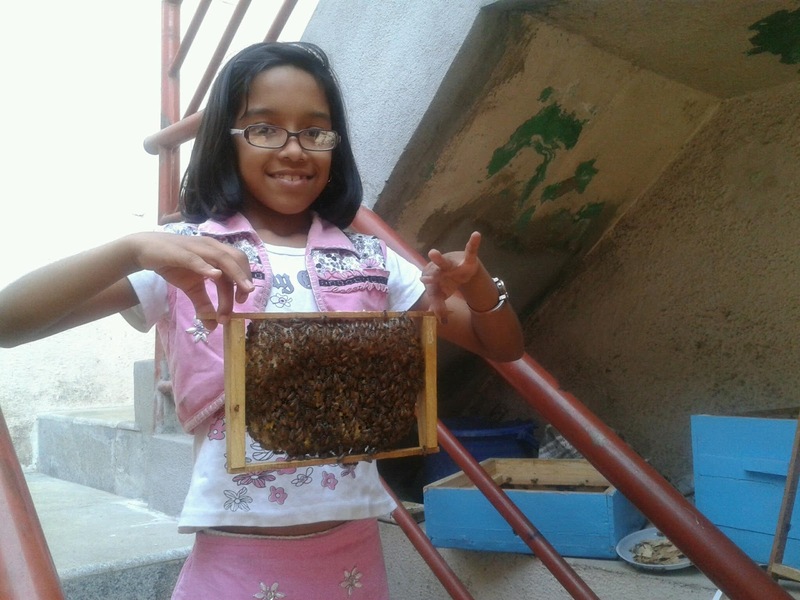 Working with bees has changed my life so it will be with these kids. I wish them all the best.